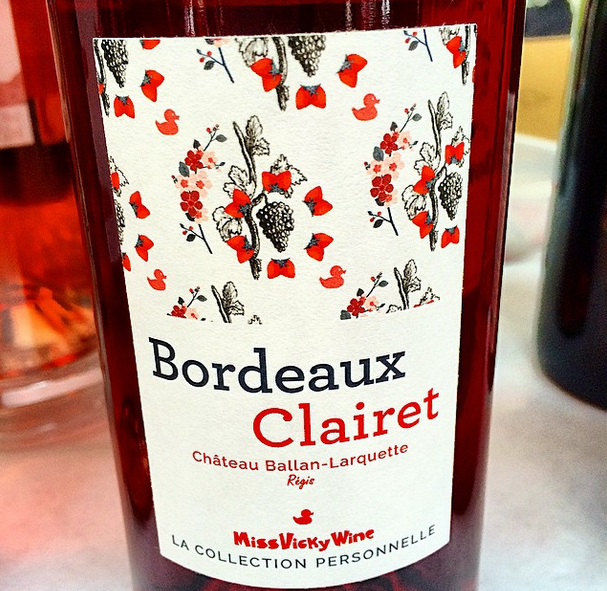 I felt head over heels in love with the Bordeaux clairet. It is a forgotten wine that is actually so modern in taste. I'm just like Régis Chaigne, the winemaker, as we botht fight hard to defend the appellation to ensure that this wine survives. That's how I came to chose his wine as the first of my new , "Collection Personnelle" range. Like a ruby in the light, the clairet is not a red nor a rosé. Sensual red fruits on the nose and the palate it has a serious structure, a soft touch and some unusual spicy notes that gives it a special character. Definitely food friendly, you'll love it on your summer salads, grilled meat, poultry and cheeses. It will also go well with Asian food and red berry desserts.